I’m happy to announce that Packt Publishing has arranged a giveaway contest for the book PHP & MongoDB Web Development: Beginner’s Guide. All you have to do is participate in a small programming challenge. The winners of the contest will be receive a copy of the book each, free of charge! The challenge is to build a standalone, re-useable HTTP session manager using PHP and MongoDB. The details of the contest are available here. We hope that this contest will spark your interest in building web apps using PHP and MongoDB. Happy Coding! And this had to be done with PHP. Although there are several libraries available in PHP for dealing with PDF files, none seem to have capabilities to modify the contents of an existing PDF file. Their manuals/tutorials are full of examples on how to create PDF on the fly. After spending few fruitless hours trying to get the much recommended PDFLib installed in my Mac and have it work with MAMP, I painfully realized this library is for commercial use only. The free version leaves a horrible watermark of their site address on the generated PDF documents. My search for a solution took me to FPDF, an open-source library for PDF file generation in PHP. In their FAQ section, I found the link to an extension of the library, named FPDI. This one was seemingly capable of ‘manipulating’ PDF files in an ad hoc fashion. It extracts the contents of each page in the file, uses it as a template, lets you put texts/shapes on the template and then outputs the modified file. Excited, I got into coding and after an hour of labor, finally succeeded to achieve my goal! Thank God for creating open source! Enough talk, now lets get our hand dirty! First we need to have following libraries downloaded and unzipped. They are just packages of PHP scripts that you just require/include in your own script. No need to deal with .dll/.so extensions. The above code takes a PDF file “my_existing_pdf.pdf”, and creates a copy of it “my_modified_pdf.pdf” with “Hello World” printed at the centre bottom of the first page. That’s it! To achieve my goal, which I outlined at the start of this post, I extended the FPDI class, and overrode the Footer() method to print a customized footer in each page. I only wish that the PHP online manual did NOT have an entire section dedicated to PDFLib, a non-free and commercial library, and rather point to free ones such FPDF or TCPDF. It could have saved me hours. Creating new projects is really easy. They can be created either from scratch or from existing source files. The interface is clean and useful. It has file and project explorer, a navigation panel to quickly access the methods/members of your class files, a pallet to create HTML pages in drag-and-drop manner and lots more. It has a smaller footprint on system resource compared to Eclipse PDT and Aptana Editor, and even its predecessor Netbeans 6.1. It loads much faster than those on my Windows XP machine. I am yet to try it out on Ubuntu. Yes. The last but not the least! The thing that I don’t like about it, that it no longer separates the project specific files from the source files, as the 6.1 did. I work on Windows Desktop connected to a Linux server through Samba share. So I am left with ‘nbproject’ folders on the development server, which I have to manually remove when migrating the sources to production server. 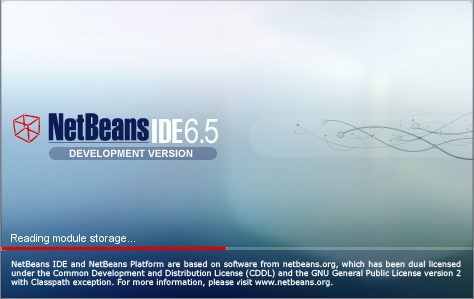 Still Netbeans 6.5 is a decent 8 out of 10 on my book. Should Readability suffer for Performance? The second approach, according to the article, is faster. May be, but should I quit using strlen() from now on? As far as I know, in a professional environment, the quality of code is not only measured by how fast it runs(performance) but also how easy it is to comprehend(readability) by someone other than the coder. It is more convenient to use strlen() to check the string length, because even if someone didn’t know the method, he/she could have guessed what it does from its name. Why obfuscate the code for a performance improvement that is barely comprehensible? The second approach is claimed to be faster. I’ll still use the first one though. Its clear and convenient, I don’t mind if its a bit ‘slow’. Finally there is an ongoing debate on the use of __autoload(). It clearly is better than require/include/require_once because includes the scripts at runtime, making the code cleaner and more manageble. However it has been said autoload() and other magic methods decrease performance and their use should be avoided. Personally I would prefer to use autoload() since I code for maintainability. Performance can be optimized at the hardware level. Update: The SPL autoload functions can be used instead of __autoload() to improve performance. Disclaimer: I didn’t go with the usual ‘Best Practice’ term as I am personally opposed to it. A certain coding practice should not be called best if everyone follows it. Someone could come up with a better convention, thus invalidating the previous. Hence the title ‘PHP Good Practice'(I think ‘Best Practice so far’ should be a more accurate term, but it doesn’t sound as cool). The count($x) is called at every iteration. Rather call it before the for loop. 3. When dealing with strings, see if you can use the string library functions and avoid the regex. For example, suppose you are looking for a certain word (say ‘XML’) inside a string. You can simply use strpos() instead of preg_match(), since the word you are looking for is unchanging. This further proves the point number 1. 5. Use single quotes for wrapping strings. PHP looks for variables inside double quotes making things slower. 6. If a class method can be static, declare it static. Speed improvement is by a factor of 4. 7. var_dump() is better than print_r() for debugging as it prints both type and value of the data. You cannot tell an empty string from NULL using print_r(). 8. $row[’id’] is 7 times faster than $row[id]. 9. To find out the time when the script started executing, $_SERVER[’REQUEST_TIME’] is preferred to time(). 10. Variables should be initialized before being used. Makes the code less sloppy. Also incrementing an initialized variable is faster than incrementing an uninitialized one. 12. Close database connection, free resources once you are done with them. It improves execution speed. 13. To improve robustness of the application, make use of try-catch statements. Define distinct exception classes for distinct operations (e.g. DatabaseException, FileNotFoundException) and handle them properly for graceful crash of the code. 14. Avoid the ‘PHP White Screen of Death’ in production environment. Use custom fatal error handlers. Here is a good article about them.